The blockchain technology is hitting the world by storm and reality is, we’ve barely harnessed even a fraction of its full potential. Though many are benefiting from blockchain technology, there is more room for poor from emerging economies. Financial institutions such as India’s banking giant ICICI has begun to deeply integrate the blockchain technology with a bold pioneering move of enlisting top corporate to utilize their blockchain platform. Recently, more than 250 banks have signed up, optimistic of how this new system could make financial transactions faster, safer and more efficient. Although most might think that blockchain technology only concerns and affects mostly developed countries, on the contrary, it will significantly impact emerging markets and hasten the progress of developing countries all over the world. Bitcoin, undoubtedly the most talked about and controversial digital currency, is built upon the technology of the blockchain platform. In simple words, blockchain is a database which is decentralized and runs on multiple devices from all over simultaneously, therefore, making it tamper-proof. Any data or information recorded on the blockchain platform is permanent, and any malicious activity with the intent to edit or destroy it, is virtually impossible. It is apparently one, if not the most secure system of collecting data any technology can offer to date. Multiple financial institutes are taking advantage of the blockchain technology to enhance client experiences and quick service delivery. From sending payments, remittances, and other forms of financial dealings, thereby offering faster and transparent way. 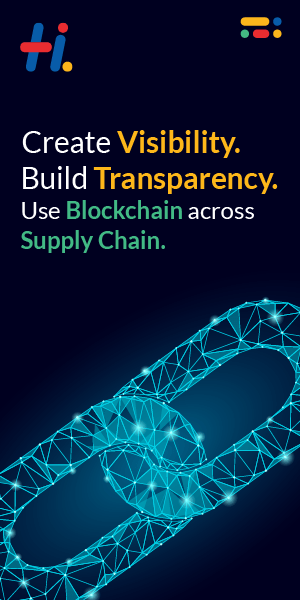 Imagine the amount of time, labour and documentation materials are saved using blockchain technology aside from making the transactions more secure. Ironic as it may seem, there is an excellent chance that developing countries could benefit more and faster from blockchain technology than developed countries; an occurrence known as “Leapfrogging”. A common leapfrogging scenario is when underdeveloped nations take hold and make use of the most advanced technology available instead of going through the process of developing a system based on inferior and outdated technology. Such is the case with internet connection in developing countries which immediately set up 3G wireless networks instead using traditional wires and cables developed countries have. The very same thing is happening with the blockchain technology. Now, one would ask how could blockchain technology positively affect developing countries or people who are poor? There are so many other ways the new technology can help aside from providing faster and cheaper financial services by banks and similar institutions. Corruption is arguably one of the most critical factors that promote poverty due to the manipulation of various types of records and transactions. By using blockchain technology, such manipulations can now be prevented as files are kept safe in a decentralized system which can’t be edited once encrypted. Other benefits also include micro-financing for start-ups and upcoming entrepreneurs, giving them a fighting chance to compete and progress in the business world. The issue of land-grabbing can also become a thing of the past as records become tamper-resistant. Personal applications of the blockchain platform could also be in the form of identification and the storage of medical records. This could be advantageous particularly to the less fortunate who have limited resources to account for their medical history or even their identification records. The poor will not be lost and forgotten as the blockchain system will not forget and cannot be manipulated. The blockchain technology platform is here to stay and is for everyone.